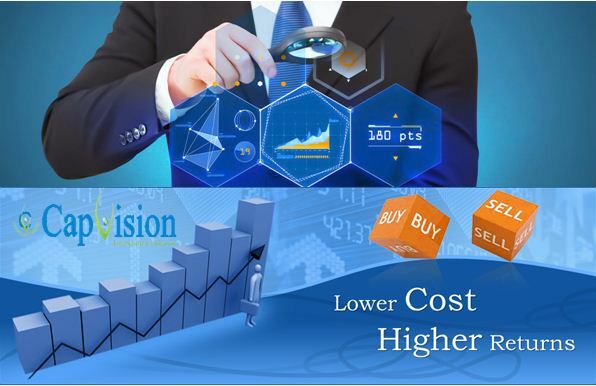 Capvision Investment Advisor is an Investment Advisory Company. 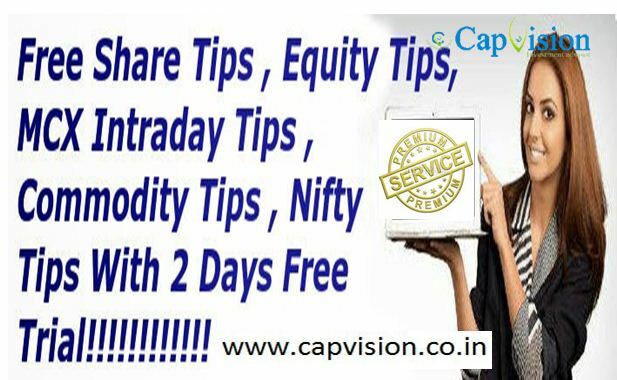 Capvision Investment Company Provides recommendation in all segment of Market like Capital Market, Commodity Market, Forex Market etc. In Bihar, around 5% maize crop harvesting has been completed and crop is in good condition. Maize is moving towards Punjab and U.P at Rs. 1600 and Rs. 1500 per quintal respectively. Demand from Kolkata feed makers will be raised from mid April after finishing up local produced. Castor oil monthly export declined by19 % in March-2016 in comparison to Feb due to one week holiday at year end closing /settlement. Demand for oil is expected to remain weak as mostly importers have covered their immediate needs taking advantage of lower price.April is likely to end with 4 to 5 percent lower oil export in comparison to March-2016.India has exported 42997 tonne oil in March,while it may touch 40,000 tonne in April,-2016. At price front, market may trade almost steady at current level as farmers are unwilling to sell their produce at current price. Castor seed may trade in the range of Rs 2750/2850 per qtl in April. Any unexpected dip is unlikely despite expectation of higher arrival from mid April. Small farmers would continue to sell their stock at lower price as they need cash for other activities. As oil export is continuously increasing from last four months, any major dip in seed price seems a remote possibility. Castor seed all India average monthly price decreased by 0.56 % from Rs 3063.6(Feb-2016) to Rs 3046.27 per qtl. in March-2016. However, average price increased in Gujarat, followed by Andhra Pradesh, Karnataka and Telangana where average prices increased by 2.27, 0.81,5.08 and 2.08 percent respectively. Arrivals from newly harvested crop have started increasing and overall outlook seems bearish as crop size is higher this year. In absence of futures contract, price recovery is fully dependant now on physical market force. The NCDEX would try to re-launch futures contract in castor seed soon after making sure that mal-practices at broker’s level would not happen again. The world will see “another season of ample grain availabilities” next season, the International Grains Council said, forecasting a decline in production – but not enough to force a decline in “heavy” global stocks. The intergovernmental group, in its first full forecast for the world grains harvest in 2016-17, pegged it at 1.997bn tonnes, taking it back below 2bn tonnes for the first time in four years. Cotton futures continued to defy a double whammy of downbeat data, on US sowings and exports, as wetness in major growing areas raised doubts that farmers will achieve the plantings they have hoped for. Cotton futures for May, which gained 1.3% in the last session, nudged a further 0.1% higher to 57.67 cents a pound in early deals in New York on Friday, and remaining above its newly-regained 40-day moving average. Agribusiness giant Archer Daniels Midland struck a deal to dispose of its sole Brazilian ethanol plant, citing a “challenging” environment for the biofuel. The news comes hard on the heels of the announcement that the company, which was long considered a champion of biofuels, is mulling the sale of three US ethanol plants. The damp conditions which have buoyed expectations for Argentina’s corn and soybean output are causing headaches for growers too, in slowing early harvesting, with delays already evident in sunflower combining. Unusually wet weather in Argentina has been viewed as, largely, beneficial for farmers, in ensuring enough moisture for good growth of corn and soybean crops, both of which could set all-time highs. Russian oilseed crushing will hit record highs next season, boosting vegetable oil exports, US government officials said. The USDA’s Moscow bureau forecast oilseed crushing to rise thanks to an uptick in production, driven by larger sunflowerseed and soybean sowings, and increasing use of higher-yield soybean varieties. And thanks to the rapid growth in oilseed crushing facilities, processors are well placed to deal with increasing crops. Corn futures plunged after the US, the top producer, said its sowings of the grain would be far higher than thought this year, at the expense of soybeans and, in particular, wheat. US farmers will sow 93.6m acres with corn this year – the third biggest area since World War II, the US Department of Agriculture said, following a survey of growers. The figure was well above the figure of 90.0m acres that the USDA had pencilled in last month in initial estimates, and indeed which brokers had expected would be confirmed in today’s report. And it represents an increase of 5.6m acres on last year’s sowings, an increase which – assuming farmers carry out their seeding plans – would be the biggest in a decade. centres have been set up across the state. The Food and Supplies Department and HAFED would purchase 33 percent each of thewheat in the mandis. Similarly, the Food Corporation of India and the Haryana Warehousing Corporation would purchase 12 percent each, and the Haryana Agro Industries Corporation ten percent of the total arrival of wheat. Egypt has made an agreement to purchase 60,000 tonnes of wheat from France at $189.2 per tonne, a higher price than the $185.4 per tonne that was agreed to last month.Egypt will begin receiving the supply of grain on 25 April and it will last for 10 days.The French contract is part of a bigger deal that the General Authority of Supply Commodities (GASC) signed in February.The deal included the purchasing of 300,000 tonnes of wheat from France, Romania, Ukraine, and Argentina following an international tender. At Warangal market, Red Chilli Teja is trading lower at Rs. 10500-11900 per quintal, down by 0.83 per cent as against previous day. Estimated market supply was at 60000 bags, up by 30000 bags from previous trading day.Red Chilli Wonder Hot is offered lower at Rs. 11400-12800 per quintal, down by 0.78 per cent as against previous day. Red Chilli 341 at Warangal market is quoted lower at Rs. 10700-12600 per quintal, down by 3.82 per cent from previous day’s price level.